Zambia National Students Union ZANASU says the student body is cheered by LAZ Vice President Linda Kasonde’s decision to stand for the position of President when the associate holds election. In a statement Humphrey Mwenya ZANASU President, said the decision will inspire women in their quest for equality. Below is a full statement from the student body. In a world where technology is making rapid strides, the barriers of gender are becoming dismantled , there is no doubt that governance is being enriched when women are seen equal and given equal responsibilities. 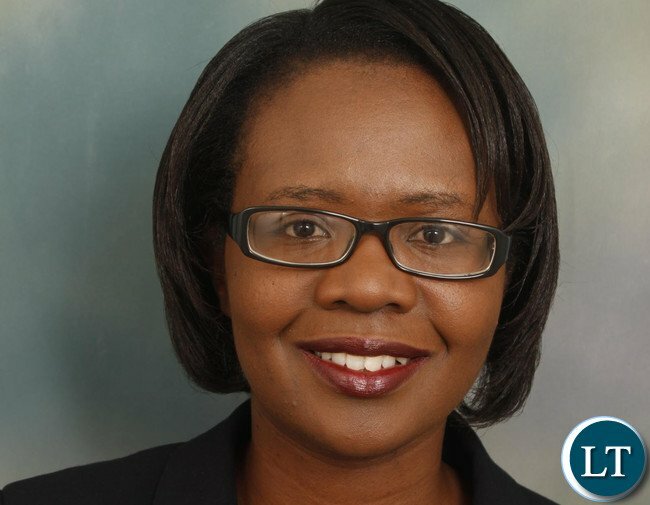 As Zambia National Students Union ZANASU we have received with delight calls by stakeholders from the law profession who have expressed the support for Linda Kasonde to contest for LAZ Presidency. The students body is cheered to have LAZ Vice President Linda Kasonde run for Presidency. A sign of inspiration to many Zambians who feel women had an equal opportunity to make a difference in taking up key governance roles and adequately contribute to the development of Zambia. Also achieving the SDG,s on equal opportunity for all through full and effective participation and equal opportunity for leadership at all levels of decision making. Women have showed an equal commitment levels to work as men. Male predominance is history, various women have risen to the task and continue to perform exceptionally very well..
Women are now bus drivers, transport officers, civil society organisation presidents and chairpersons , managers , chief justices, and continue to perform above pur. We would like to urge females to emulate fellow women who have broken the barrier and assumption that it’s a man’s world and contribute positively to the welfare of man kindly. We there wish to encourage LAZ Vice President Linda Kasonde to contest for the Presidency ahead of the fourth coming general elections as it is a source of inspiration to the female folk and men as well, a sign of bravery, hard work and commitment to work. This Linda chap is one of the incompetents in the LAZ cartel that frustrate law gradunds at ZIALE!!!! Can another women please avail herself to stand….aba bena kuwayawaya fye!!! Its the ZIALE cartel not LAZ cartel please correct the mistake. My advise is that ascending to that office should be on merit. It is an equal opportunity office for both men and women. Let anyone who aspire to that office earn it just as the madam managed tear through to the position of vice president . Let us not confuse issues of gender and holding office.Such traits are not good for democracy. Least the position be compromised. Wishing you the best Lawyers.